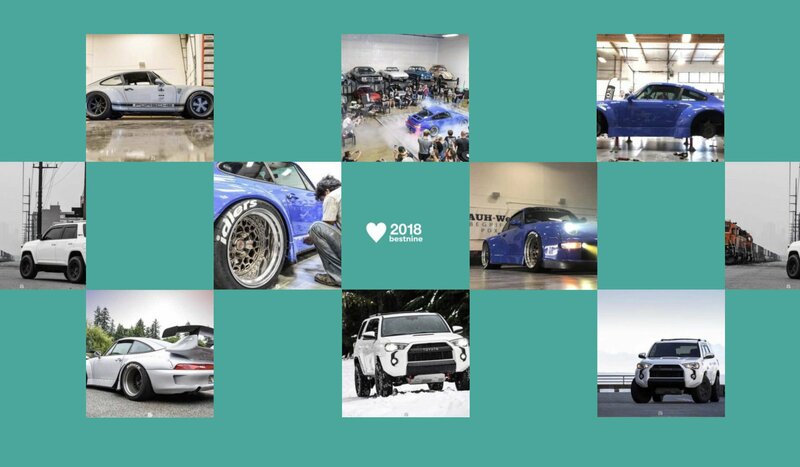 The 2018 Instagram “best nine” posts are starting to roll out and it’s no surprise many of our followers are still fans of Akira Nakai and his Rauh Welt Begriff Porsche 911 creations. It’s been a pleasure to be able to follow so many of the Pacific Northwest builds and share our experiences with our fans and readers. We’re also attracting the attention of Toyota 4Runner owners and 4×4 enthusiasts since the new addition to the fleet and the many adventures it’s taken us. Looking back through our 2018 IG posts we’ve had an amazing year and made many new memories. We’ve uncovered more of Washington State’s beautiful landscape and can’t wait to continue exploring the Pacific Northwest!